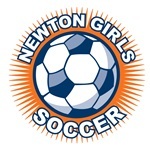 The NGS Academy Soccer Program is a year-round, invitational program (Fall, Winter & Spring) for those girls seeking an additional competitive challenge and a developmental soccer experience beyond their NGS Travel Team. The Academy teams are professionally coached and play every Sunday (Fall & Spring) in the Northeast Soccer League. Academy Teams train once per week in the fall & spring in addition to their two Travel team practices and Saturday Travel team game. During the winter season players will continue to train once per week and play Saturday Futsal games. **Please note that the schedule is subject to minor changes depending on field or gym availability.